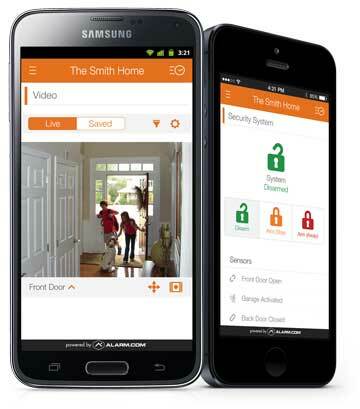 Are you ready to access your security system from anywhere in the world? With Alarm.com or Honeywell Total Connect Wireless Surveillance Systems, you can do that and much more. Either service integrates with your security system, so you can be connected to the system at any time, from anywhere, with the convenience of your smartphone or wireless device. You can receive notification of any alarm activations, including burglar, fire and carbon monoxide, the moment they happen. Alarm.com and Total Connect both allow you to check on your video surveillance cameras by viewing a live video feed of the recording. What better way to be sure that children are coming home at the right time, elderly parents are safe and babysitters are doing their job? For businesses, it’s a great way to look in on employees, inventory rooms and cash registers. This is peace of mind that’s hard to get any other way. 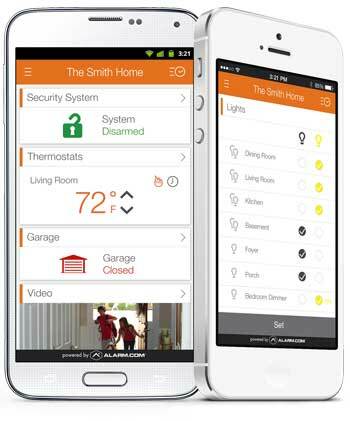 Plus, there are convenient mobile control features for your thermostat, lighting and locks when you integrate them with Alarm.com or Total Connect. Be sure to ask us how it works! Are you on a trip? Are you at work? Are you shopping? Wherever you are you can control your security system, check on alarm events, see who is coming and going, see who is at the door, check the temperature, adjust your thermostat and turn lights on or off. It doesn’t stop there. You’re only limited by your imagination. 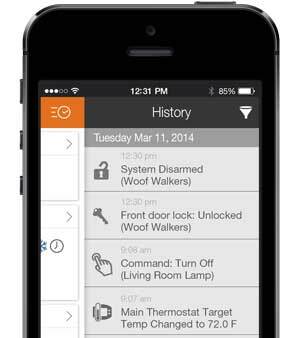 Remotely arm, disarm and check the status of your home security from the palm of your hand. 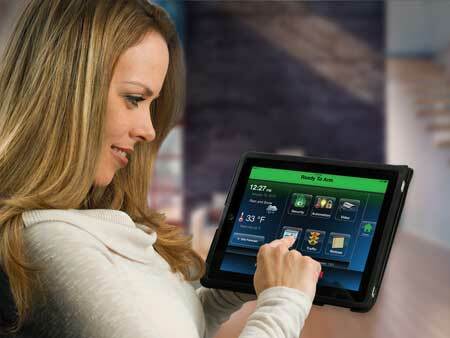 You’ll have the ultimate in convenience and control of your security from almost anywhere in the world. 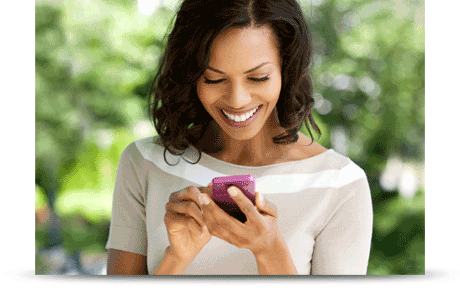 Have video streamed to your mobile device in real-time. With strategically placed interior and outdoor cameras, you can customize the views. Check on the service representative at the front door, disarm the security system and unlock the door. See if snow needs to be cleared from your driveway or sidewalk. Check your living room to make sure everything is OK. The possibilities are endless. Whether you have a smartphone, iPhone, iPad, tablet, laptop or PC, DM2 Security can bring Alarm.com or Total Connect security, control and convenience to your world. With the tap of a finger the apps let you operate your Wireless Surveillance Systems, receive text messages and e-mail alerts – even view live video and control your thermostats, lighting and locks on your iPhone®, iPad® or Android™ devices.